Notas dadas pelos hóspedes depois de sua estadia em: Apartman Daria. The apartment exceeded my expectations in all respects. Lovely apartment. The hosts are excellent. Very convenient location. Also located in a quiet residential area but very easy to get to the centre of town. 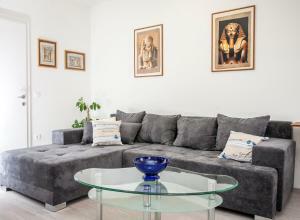 Apartment was modern, clean and comfortable, Daria was there to meet us and couldn't do enough to ensure we had a great stay. Apartment close to the old city, 5 mins walk and also close to the beaches, good kitchen facilities and even the fridge was stocked with drinks and essentials. Thanks Daria we really enjoyed our stay and would book again. 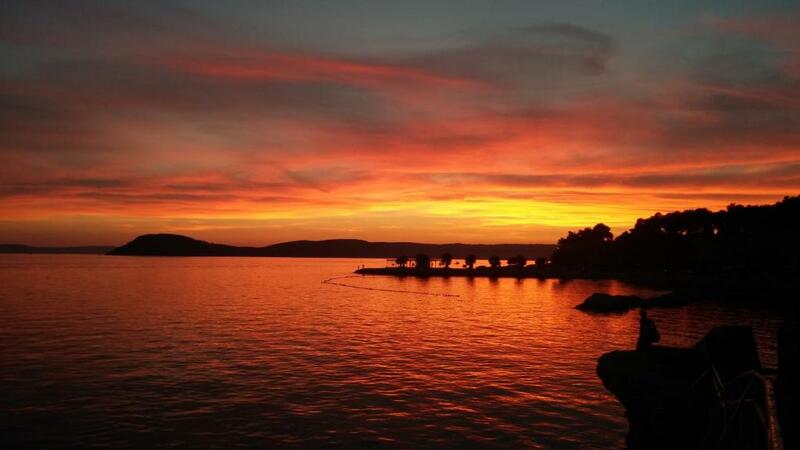 The property is an 8 min walk from centre of Split which was convenient. Hosts had a cheaper taxi service with agreed price for airport transfer. Washing machine was very useful. They had shampoo, washing machine liquid, all things which help. Two sets of keys was a good touch as well. 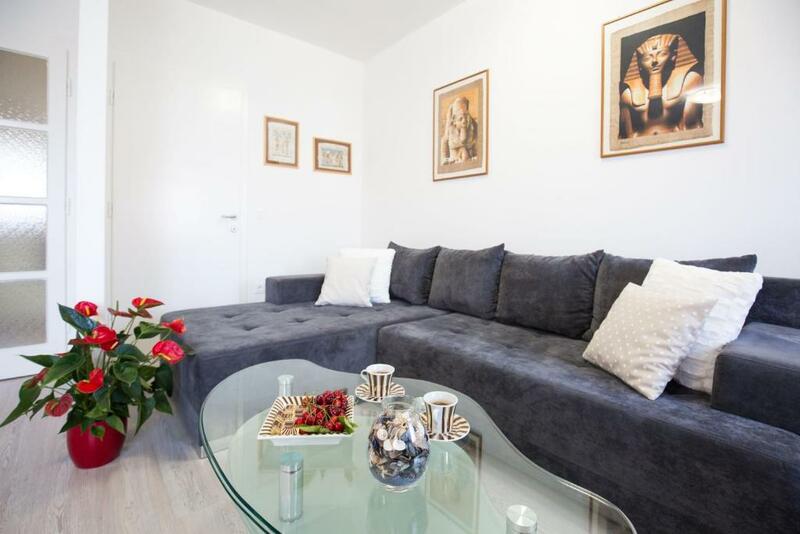 A beautiful apartment, completely clean rooms, lovely decorations, you have everything you need to actually live here. Daria and her family are so friendly, they even prepared beer and drinks for free. Everything is perfect! 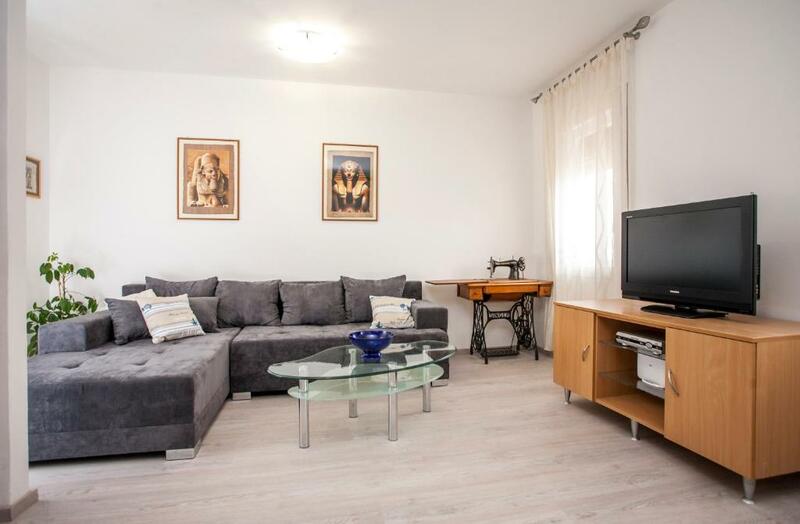 The apartment was fantastic, clean and had all the things you could need during your stay. Even the little things like having beach towels and some snacks when we arrived. 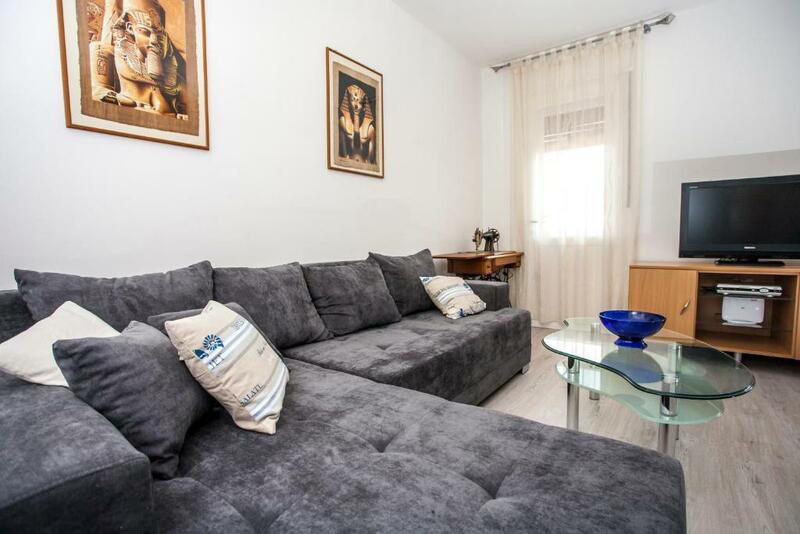 The apartment is located just outside the hustle and bustle of Split which makes for quiet evenings but only a short walk to all the great restaurants and nightlife. Daria the host was lovely and accommodating making our stay enjoyable. We really didn’t want to leave. The shower is very good. The owner is considerate. 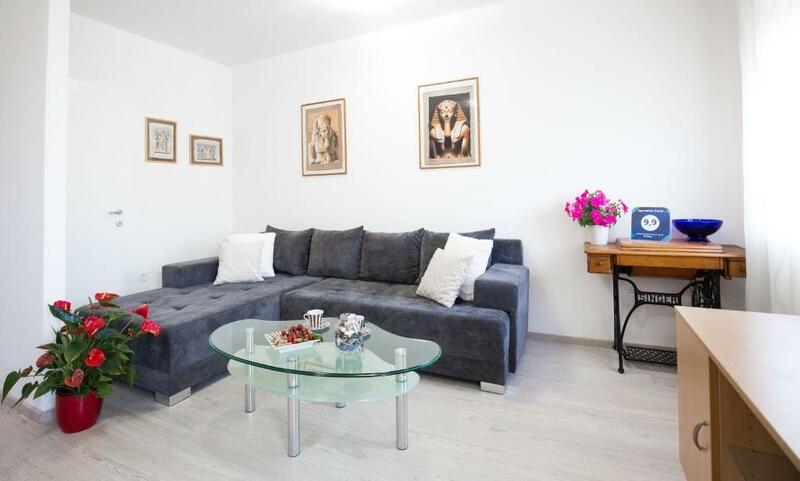 Everything is perfect - from apartment facilities to the location. Daria is very friendly and prepared some drinks and chocolate for us. We’d come again and strongly recommend her apartment. Garanta um preço incrível para Apartman Daria - avaliado como nota 9,9 pelos hóspedes recentes. Um de nossos campeões de vendas em Split! Localizado em Split, a 6 km do Palácio de Diocleciano e a 8 km da Praia Znjan, o Apartman Daria oferece ar-condicionado. Esta propriedade oferece Wi-Fi gratuito. O apartamento é composto por 1 banheiro e sala de estar. A acomodação dispõe de área de estar e cozinha completa com micro-ondas, geladeira e fogão. Você pode andar de bicicleta nas proximidades. A Galeria Meštrović fica a menos de 1 km do apartamento, enquanto a Praça da República - Prokurative está a 1,9 km de distância. O Aeroporto de Split fica a 26 km da propriedade. 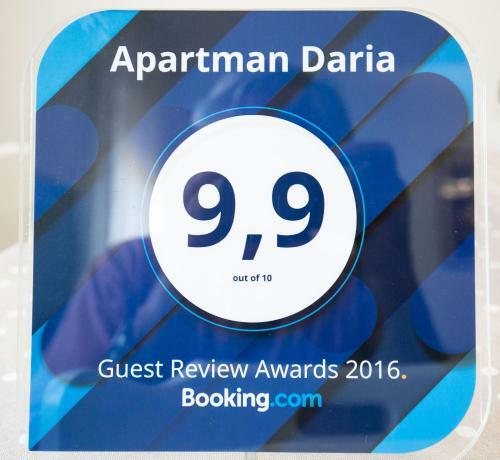 Apartman Daria tem recebido hóspedes da Booking.com desde 18 de jun. de 2016. Quando você quer se hospedar no(a) Apartman Daria? Este apartamento dispõe de área de estar, utensílios de cozinha e área para refeições. Bom saber Apartman Daria aceita pedidos especiais - adicione no próximo passo! É necessário efetuar um depósito caução de EUR 100 no momento da chegada para cobrir eventuais incidentes. É o equivalente a cerca de BRL 443.15. Este valor será devolvido integralmente após o check-out, mediante inspeção da acomodação. Por favor, informe Apartman Daria com antecedência sobre seu horário previsto de chegada. Para tanto, você pode utilizar o campo de Pedidos Especiais ao fazer a reserva ou entrar em contato diretamente com a propriedade usando os dados informados na sua confirmação de reserva.